Preparing to record in a home studio environment is one thing, but there are different considerations when entering a professional recording studio. Here are some tips to get you ready. If you are like many indie artists, recording your music is a major goal — but successfully getting ideas and inspiration out of your head and into CD, WAV, or MP3 form can be easier said than done. Just as performing live often presents its own set of unique challenges, making music in a professional recording studio setting can bring up a host of unexpected concerns and problems. That’s why, to get the most out of your recording session, preparation is key. Here are some tips that can help you minimize pain and confusion — and maximize beautiful music-making — once the red light goes on. As you’re mapping out how your time in the studio will be spent, be sure to build in cushion time, as you never know when a broken bass string, emergency phone call, or hard disc error will unexpectedly delay things. After all, better to have an extra hour or two of found time at the end of the session to record an extra song than to find the clock ticking down with five parts yet to be recorded. Not sure how long your session will take and how much time to budget in? Your engineer may be able to offer some insights, but it also never hurts to do a dry run beforehand. Get your band together at a rehearsal, have everyone take a go at playing his or her parts a number of times in a mock-recording-session vibe, time the whole thing, and plan accordingly. Remember to add plenty of time to set up, and, again, check in with your engineer about this ahead of time. If the studio already has a drum kit miked, tuned, and ready to go, and you just need to set up a vocal mic and sing your heart out, your set-up time may well be an hour or less. If you’re bringing your own drum kit that needs to be assembled and miked, bass and guitar amps that need to be set up and miked as well, and a cello to boot, count on significantly longer to get the sounds you need. The same goes for vocals, if you plan on testing out a variety of different mics and preamps to get the vocal tone you want, that can eat up a lot of time on the clock. Remember to build in time on the back end as well. If another band is getting in to record right when your session ends, make sure you have time to break down your equipment and bounce or backup whatever files need it. Needless to say, running things through ahead of time will give you far more than an idea of how much studio time to book — it will give you the flexibility and comfort to play and record the best that you possibly can. “Really know the performance and practice, practice, practice,” says Percy. “Be able to play every song, every part, fast or slow, in any octave. Be ready if the producer asks you to transpose or adds a key change to a song.” Are you working with a vocalist? Be prepared in case the singer wants to drop the song a half-step. Remember that every hour you invest in learning your material and getting yourself into top musical shape will make it that much easier for you to lose yourself in the music and create a performance, and recording, that you can be proud of. Though it doesn’t apply to all styles of music by a long shot, using a click track — a.k.a. a very simple percussion track that keeps a steady beat for reference and is later removed — can help you in a number of ways. Want to record five guitar takes and piece together the best parts of each, or record your vocals and guitar in one session and then overdub your drums a week later? Using a click to keep your beat steady makes both scenarios immensely easier. If you’re not used to playing to a click track and predict that you’ll want to use one in the studio, be sure to practice ahead of time, Percy advises. Again, you want to minimize the surprises and maximize the time spent delivering a great performance in the studio. Being clear about timing with your engineer will also help a great deal once everyone enters the studio. Giving him or her a clear idea of when your string quartet will show up and warm up, and when the guitarist’s amps will be delivered, will go a long way towards ensuring a smooth and productive session. Practically speaking, that means working out exactly how much each musician, engineer, studio manager, and producer will get paid before you step foot in the studio to make music. It also means agreeing, preferably in writing, on how and when that money will be delivered. A big part of communicating effectively with your engineer ahead of time is knowing your own tech. That means being as intimately knowledgeable about your gear as possible. This includes knowing what sort of setup will make you the most comfortable for a performance. Do you prefer to play guitar standing with a music stand waist-high in front of you, or do you want to lean on a stool? Do you like singing flat on your back and do you like to play the piano with the bench higher rather than lower? Anything you can do to help get in the studio, set up, lock in, and get ready to play as quickly and painlessly as possible will help you end up with the session, and recording, that you want. Back up your session again once you get home from the session with your hard drive — and also know what your studio’s policy on data storage is. Some studios wipe their hard drives clean at the end of each day, while others store and archive every single session they do. Regardless, do what you have to do make sure your data is safe and backed up in multiple places. Do you have any tips on how to prep for a great studio session? Tell us in the comments below! Some blogs have strict music submission guidelines. The music submission process are an important part of the game. It is also another way for a blogger to test if you have taken the time to read their blog or not. Please don’t mass email blogs! Take the time to craft each individual email – address the blogger by name and casually mention a post of theirs that you enjoyed. You are asking the blogger to take the time to listen to your music and hopefully write a review, take the time to personally email each blogger which is why we included this information in The Music Blog Directory. One of the worst mistakes you can make is to send a generic email around to a list of bloggers. Bloggers receive hundreds if not thousands of emails a day so do not be disheartened if you do receive a response on your first try. Chances are they have not even read your email. Don’t overwhelm them with long windy emails…you have 3 sentences to catch the bloggers attention so keep it short, sharp, genuine, interesting and to the point. Check out their posts on social media and interact with them by liking or favoriting posts of theirs that you relate to or find interesting. I would strongly recommend running subject lines and the body of your email through a spam checker before sending to make sure they won’t get flagged on the other end. There are a lot of words that obviously get flagged by email spam filters like “opportunity, hot, free”), but there are some other “spammy” words you might not expect to cause problems. There are a lot of free spam checkers out there that can help you “de-spam” your email! Artist development is a huge area overlooked by far too many artists and bands. Let’s explore the question, What is artist development”? A record label A&R rep once “discovered” fresh new faces in clubs, bars or word of mouth and would then support them, cultivate their creativeness, build up their fan base, and guide their direction with the intent of turning them into superstars. All of this of course, was with the intent of selling those 45″, LPs, cassette’s and CDs. Gradually, many labels moved more into product development, which meant they are focused more on the immediacy of sales of the latest CD (product) released, and not bringing the artist up to that point. And more often than not, naive artists were at the labels mercy. A music career is a charted path to follow. Artist development involves all the issues surrounding and arising from that charted path, and crosses into knowledge of product development the ultimate sale of the music. That being said, an up and coming artist must begin somewhere and if a career in the music business is the goal, then any naivety must be addressed immediately! Knowledge is power. Power gives you leverage. And who knows…that entrepreneurial artist may just find they don’t need that particular record deal after all. 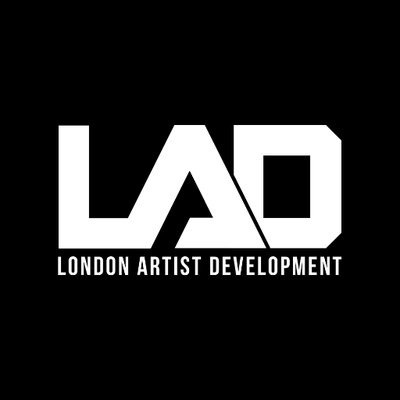 Powerstudio’s London Artist Development programme is seen as the UK’s leading development programme, providing young artists with real industry experience. This allows artists to fully develop their sound and transform into internationally recognised recording artists. If the rhythm is the bones of a song, the music and melody is the meat, so here’s what you need to be thinking about when writing for this. You’ve probably heard of this term before and all it really is, is a short musical phrase that repeats at key times and becomes a recurring theme. It can be a vocal or piano for example and is usually something simple and catchy that will get stuck in the listeners head. Rhythm and melody are like space-time, they’re not separate things; you can’t have one without the other. Be aware of the rhythm in your melodies, a simple change in rhythm can completely alter the mood and meaning of a line. This is important because it tells you which notes you can play without sounding ‘dissonant’ (unpleasant). You can learn to bend and break these rules when you get into jazz territory. Simply put, this is the relationship between two simultaneous melodies. A harmony can change the musical meaning of a melody in a subtle, yet effective way and is a great songwriting technique. There’s a great rule here, ‘if it sounds good, it’s good’. Mess about with rhythm and melodies until you find something that you like. Jamming is a great way of feeling out melodies that appeal to you. – Rhyming is a very musical technique and is great for memorable lyrics. – Writing lyrics that mean something is a great way to write memorable lyrics. The more meaningful and emotional they are (this can be anything from sad to funny to angry) the more it has a chance of staying with a listener. – Words can display mood. Even a single word has the power to create emotions, and choosing your words to fit the mood of your song will help glue everything together and create a song with a strong impact. – What part of the song are you writing? Verse, chorus, bridge? Different sections have different purposes and your lyrics can reflect whether you’re telling a story in the verse, or singing the emotional theme in the chorus. The function of these should be more or less self-evident. There can be some confusion about the bridge and the middle 8 but we’ll explain it in more detail now. The bridge is a transition between the verse and the chorus, hence the term ‘bridge’. The middle 8 is (usually) eight bars in the middle of the song (and tends to be after the second chorus and before the final choruses) which breaks away from the vibe of the verse and chorus. This is a very common structure, which can be found on most radio versions of songs. Radio likes to play songs that are between 2mins 40sec and 3mins 40sec. The importance of the arrangement is to plan the emotional impact of the song. Where does the tension build? Where is the energy? Where is the tension released? Understanding why this structure works and writing songs that fit it is a great way of developing your skills as a songwriter, even if writing pop doesn’t interest you! Once you’ve learnt the rules you’ll be in a much better position to bend and break them along with a whole new invaluable songwriting skill set. There are a huge amount of techniques that you can apply to writing songs, so many in fact that I couldn’t possibly fit them all in here. How you start a song can influence how you finish one, do you start with a melody, the lyrics, the rhythm, or the chords? If you’re writing songs and you always start in the same place, try starting with the thing you normally add in last and see where it takes you. More often than not you’ll be pleasantly surprised. This is less of a technique per se, but without a doubt it is useful for coming up with ideas. Do you normally write in a minor key? Try a Phrygian mode instead! How about modulating down in the middle 8 or using a different time signature. Anything to keep it interesting and get those creative juices flowing. – Keep a notepad or dictaphone on you at all times. – Finding a balance between repetition and change. These two elements are really important in keeping interest in a track. Too much repetition and a melody / idea can become boring and too familiar. Too much change and a listener can get lost in a track and not be able to hear the ‘music’ in it. A good balance between the two captivates a listener and keeps them listening to every note. – Set yourself little challenges or tasks. This can be very useful for pushing yourself to become a better songwriter. It’s a myth that you can only write when inspiration strikes. Treat it like a profession and something that you want to be professional in. One thing you could try is writing down a page full of words and then writing a song using only those words. Try a 30 day challenge and write one song a day. By the end of the day consider the song finished, whether you are ‘done’ with it or not. At the end of the challenge, you can finish tracks or scavenge the best material. It encourages self-discipline and I guarantee it will make you a better writer. – Listen to the songs you love. Listening is as much a part of writing music as writing itself. There is no ‘original’ material, everyone has a favourite artist they listen to and this is where you can get your ideas from. Just use them in different ways that work for you. There are loads of other things you can do while learning to write. The best way to learn how to do it is through trial and error (although there’s no such thing as a wrong song). Keep writing, writing & writing and aim to write every day. Try writing at different times of the day, whether that is the middle of the night or in the morning. write something. After the gym – write something. After a few drinks – write something. It takes time to learn the craft , keep at it and listen to your instincts because they are more often than not, right. 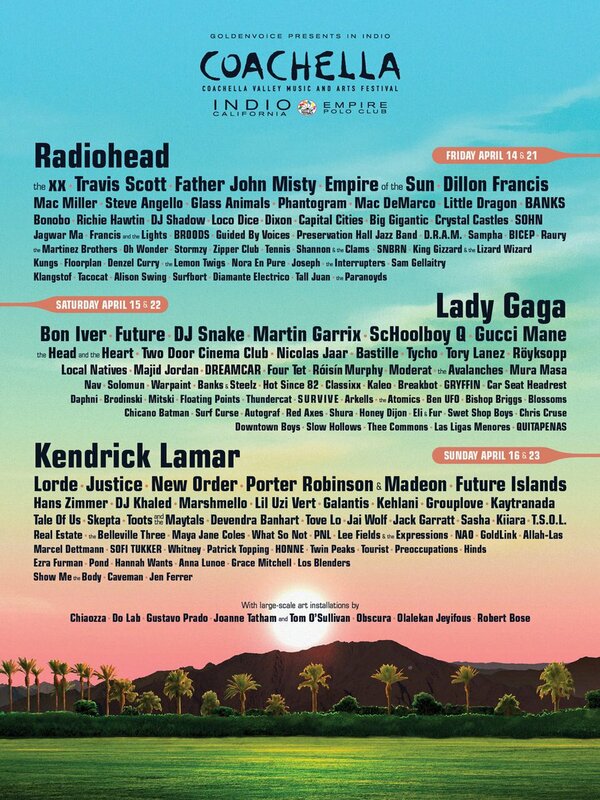 Coachellaaaaaa! Yes, the annual Indio, California festival that much of the rest of the world casts an envious eye at whenever April rolls around has announced the line-up for its 18th edition and – well, wow. The full line-up announcement back in January revealed a whole host of brilliant bands and artists who are set to perform across Coachella’s double-weekender in the Spring, spanning from colossal headliners (including Radiohead and Kendrick Lamar) as well as a strong contingent of new British stars (Stormzy, Blossoms, Mura Musa). Let’s take stock of everything we now know about the Coachella 2017 line-up and details about this year’s festival. 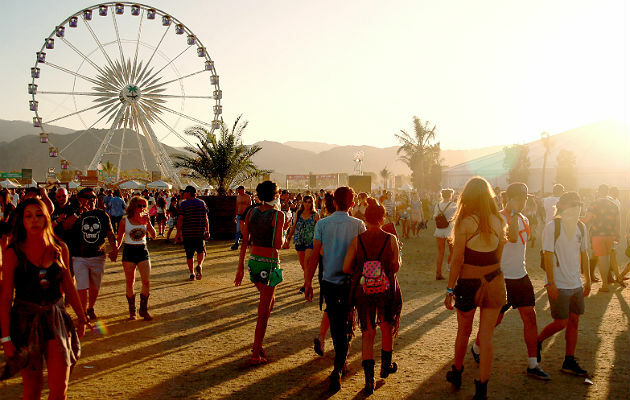 Coachella 2017 will be held, as ever, on two weekends: April 14-16 and April 21-23 2017. The festival takes place at the Empire Polo Club in Indio, California. OLI is one of the Artists currently working with producer Benny D on the prestigious London Artist Development programme at Powerstudio. She is an alt-pop artist based in Central London, favoured for her ethereal yet poppy electronic sound. OLI has come a long way over the short period of time she has been working on the programme, from finding her ‘sound’ to building up her fanbase and live performances. Fashion branding deal with Gogi. Sync deal on a TV show from one single. OLI is currently working on new exciting music at Benny D’s state-of-the-art studio in Central London, before she heads out to perform at events all over the UK this Summer. To all aspiring artist and think you have what it takes, click here to find out more. Powerstudio’s London Artist Development programme, fronted by award-winning producer Benny D, is reported as the place ‘where raw talent transforms into chart topping artists’. Licensing music is a much more involved process than just selling music. On your part as the content creator, it requires education, knowledge of copyright and publishing basics, extreme organization, and some annoying but highly important prep work that will set you up for potential success. Before you begin your venture into this exciting part of the music industry, read our 5 crucial tips below. 4. Have stems and instrumental versions of every song. I thought long and hard about it because when it comes to mixing vocals it can be a pretty convoluted process as nothing is really ever the same. That said, I did realize that I have somewhat of a checklist (in my head) that I run through as I’m mixing vocals. Some performances go through every step, some go through very few and others go through some extra steps. The good thing about these vocal mixing techniques is that they aren’t bound to any one genre or style of music. So if you are mixing lead vocals, female vocals, male vocals or if your mixing backgrounds vocals than I’ve got you covered. You might be working on Rock, R&B, Rap, Country or anything else for that matter and that’s okay. It’s about the concept and not the technique. This is, however, not meant to be taken as gospel and every step I lay out should not just become default for every mix. Take it with a grain of salt and decide for yourself if each step is necessary. Or you may want to add your own steps – I applaud the ones who take action and think outside the box. Also, I am constantly changing and improving (at least I think I am) on my mixing technique. So a year from now, this checklist could have more steps, less steps or the steps could be laid out in a different order. The best thing to do is find something that makes sense to you and try it out. If it makes your process easier and your mixes better, than keep doing it, if not then stop doing it. This step is very important because finding out which direction the vocal mix needs to go is going to give me a destination. It doesn’t have to be my road map and of course I can get there however I want but I definitely need to know what the client wants otherwise I am just throwing darts. Every step after this won’t matter if I don’t know the direction that the track needs to go. A lot of times the client will provide a reference/demo mix and that is usually a great indicator of where the track should end up. I’ve found that the client isn’t usually shy about what they want so I just try and listen to them as much as possible and takes notes if I have to. If I send them a mix and it’s not what they expected, I just take it on the chin and ask them to explain to me what is wrong with it so you can correct it and make them happy. If you are mixing your own records than I assume you already know what you want! Before I even lay down a plugin or effect I like to just listen to the performance because it’s the point at which I can start to create a blue print for how the vocal should be treated. It also gives me clues on which plugins to reach for. Like if the vocal is kind of edgy, I might need to soften it up, so I start planning out which plugins I think will help me achieve that effect. Of course there will be a lot of experimentation to follow but I can generally pick out what needs to be done to the vocal. At the very least I can hear where the vocal should sit in between the speakers and then from there I can just try out as many different techniques as possible until the vocal ends up where I hear it. For the most part I am using the Clip Gain for this step and not the volume automation but just realize that the clip gain is a form of automation. One benefit of using the clip gain over volume automation is that it is pre insert which really comes in handy later when we start adding processing. This process is sort of the beginning stage for me but it also continues throughout the entire record. As the mix builds and other things start to stand out, I find that I have to refine the Clip Gain a lot so that the vocal can maintain a certain balance. Fix the Balance – These days it’s not uncommon for vocals to be comped and recorded on completely separate takes. As a result the balance between the comps is usually off so the clip gain helps to even that out. Remove Plosives – Sometimes I can hear some obvious P’s and B’s from the vocals and the clip gain can remove those things fairly easily. Also if the vocalist hits the mic stand and as a result I hear a pop in the performance I can fix that with the Clip Gain as well. Remove Esses – There are times when the DeEsser doesn’t quite do the job and I need to go in and take out the Esses manually. I prefer to do this with the clip gain so that it gets fixed before it goes into my inserts but if you want to you can use volume automation to fix this after. Improve Performance – Depending on the skill level of the artist and their microphone techniques, I may have to bump up a word here or there to help improve the performance. I find this especially on the ending of words where the vocalist dies out just a bit too quickly. I would take the clip gain and bump up or fade up the ending word so that I can pull out the emotion and intimacy of the vocal. Boy George is back with at Powerstudio, working with Benny D on fresh new music. To find out more about Powerstudio and the services we offer, click here. There are as many lyric-writing styles as there are genres. From conversational and literal to poetic, abstract, and even nonsensical. Whatever style you embody, you can always improve your craft. Here are some tips on how to do that. Have a theme. Themes don’t make your lyrics boring, they make them cohesive. Think of Somewhere Over the Rainbow and its whimsical sky references (clouds, birds, stars, chimney tops). It’s about world-building that sweeps the listener away. Try to stay away from perfect rhymes. Day and way. Run, fun, sun. They sometimes ring as childish, especially if the context is not interesting enough. Be more adventurous and less strict (fade and wait, mine and kind, crazy and maybe, etc.). Make the context interesting. If you are singing the same old love song, say it in a different way. Build from real memories, real conversation, or unusual metaphors. Put the rhymes in unusual places (internal rhymes, in the middle of phrases). It adds meat to the bones of your song. Put the emphasis on the right syllable. As much as I love Alanis Morissette, she has an annoying habit of misplacing accents, making it incredibly awkward and difficult to understand (“an un-for-TU-nate slight,” instead of “un-FOR-tu-nate” in Uninvited). If you are dead-set on a lyric that stresses the wrong syllable, don’t be afraid to change the rhythm to set it right. You can also add or take away unimportant words like “that” or separating contractions. Personally, I know a lyric is right when it sounds as if I could speak it naturally. Make your choruses more general than your verses. This is not a hard rule, but it helps to “change scenes” after your verse. Be ruthless about clichés. Speak your lyrics aloud to spot them. When you find them (and you probably will), try changing only one word to something unexpected. Keep writing different versions of the same section. You can always go back to the original, but you never know what you’ll come up with on try #5. Don’t be afraid of the tools in your arsenal. Get a thesaurus. And a rhyming dictionary. Even if you don’t use the words you find, they can sometimes inspire other ideas. So can novels, newspapers, facebook updates, and people-watching.